interface and an 8-channel multiplexer. 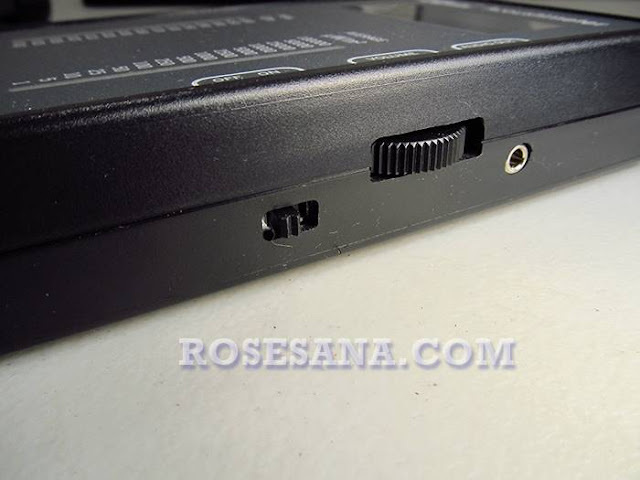 The Analog-to-Digital (ND) converter features a sample-and-hold amplifier and internal, asynchronous dock. The combination of an I2C serial, 2-wire interface and micropower consumption makes the ADS7830 ideal for applications requiring the ND converter to be dose to the input source in remote locations and for applications requiring isolation. The ADS7830 is available in a TSSOP-16 package. Bargraph containing 10 LEDs with green and red for each LED (bi color) with common anode configuration. 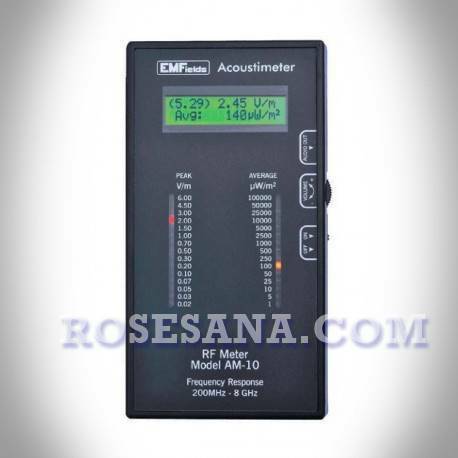 Acoustimeter RF Meter The AM-10 model is a microwave level radiation (microwave) measuring device designed to measure microphones at a frequency range between 200 MHz to 8 GHz accurately. What is unique about this tool is that the microwave measurement results are displayed on two different media, LED bar and LCD. The LED bar will move quickly from one parameter to another according to the level of wave radiation read by the sensor while the LCD will display real-time wave reading results to the monitor in letter and number format. 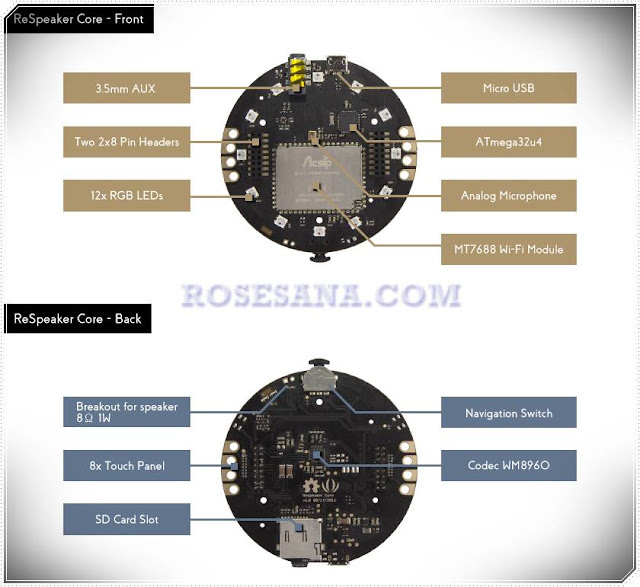 In addition, the device also has a speaker and audio jack for headphones and a microphone that can allow users to identify the wave radiation read by the sensor. 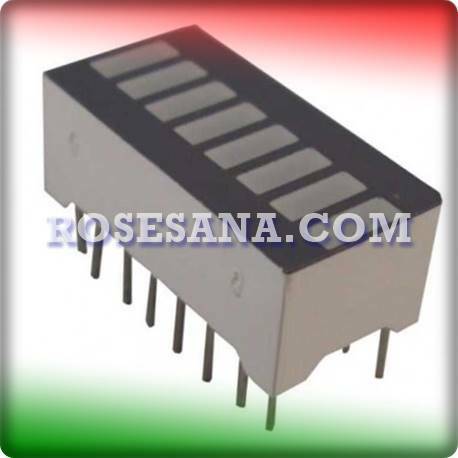 AT25256A-10PI-2.7 is a memory / IC EEPROM with a capacity of 256 Kb and clock-speed 2.1 - 3 MHz. 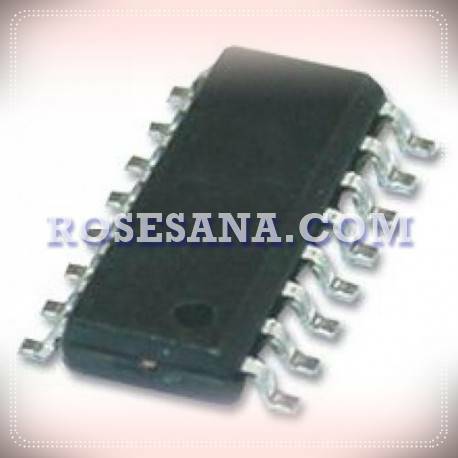 This IC EEPROM can be accessed by microcontroller through SPI interface. 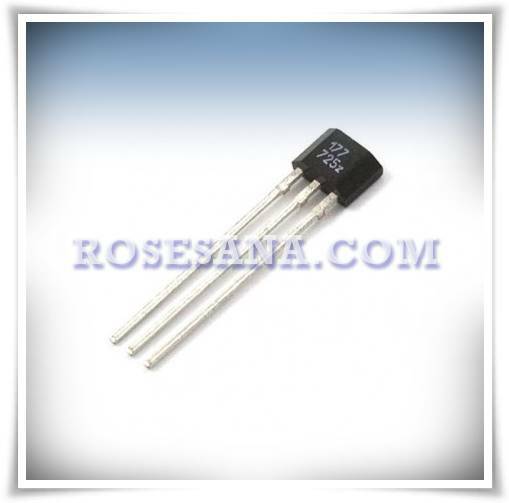 MCP9700A-E / TO is an analog temperature sensor that works at voltage levels between 2.3 - 5.5 V and can be used to detect temperatures between -40 ° C to 125 ° C. MCP9700A-E / TO is usually applied to the peripherals of computer hardware temperature, sensors for microcontroller, furniture, and so forth. 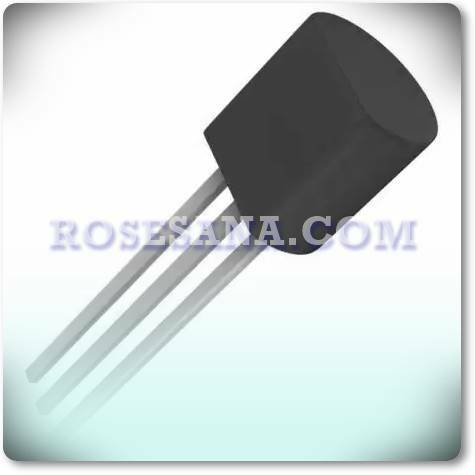 FDV303N an N-Channel MOSFET with drain-source voltage (Vds) 25 V, the drain current (Id) 680 mA and 350 mW power dissipation. 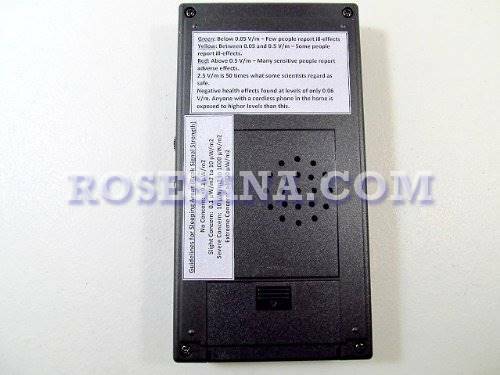 ReSpeaker Core is a Linux voice recognition module (OpenWRT) that allows you to interact with nearby objects via voice commands. 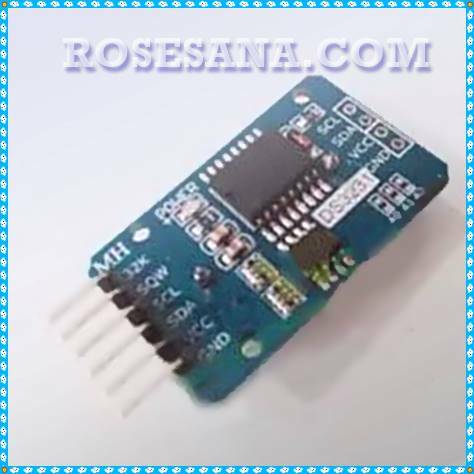 This module is equipped with SoC wifi MT7688 which serves as its data tranceiver and co-processor ATmega32U4 as its controller. Basically this module is designed with the concept of Internet of Things (Iot) as a whole, so that with this module you can integrate voice commands to cloud-based voice interpreter engines such as Google Speech API, Amazon Alexa Voice Service, Microsoft Cognitive Service, Witai , And Houndify. Even so, you can still operate this module offline using an open source voice recognition engine called PocketSphinx. 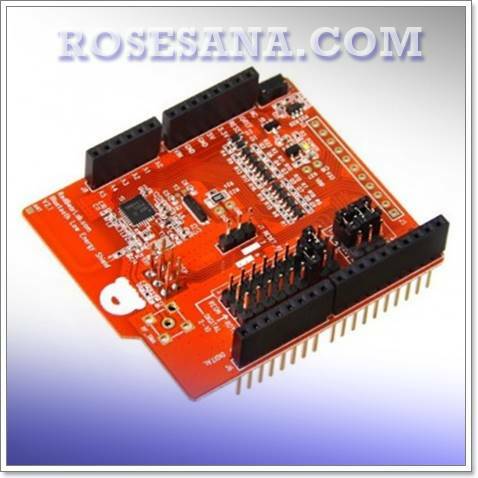 It is also designed to work on python-based and C / C ++-based programming environments making it possible for this module to be integrated with Arduino and Raspberry Pi. 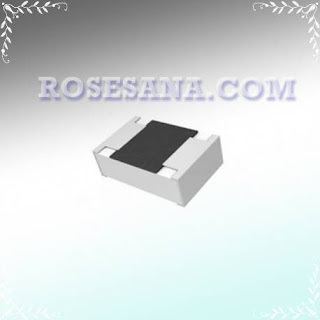 It is a LED of HPL type (High Power LED) with 0.5 Watt power and 12 lumens brightness level. 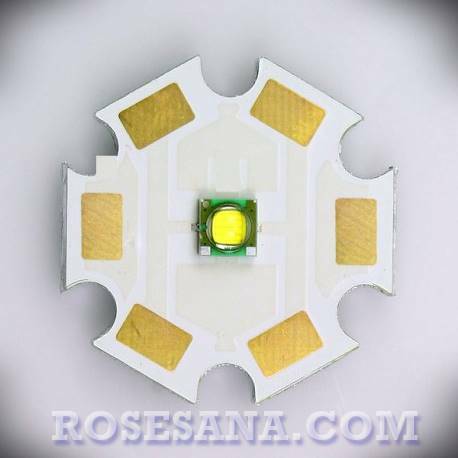 These LEDs are usually found in motor vehicle headlamps, flashlights, medical devices, and so forth. 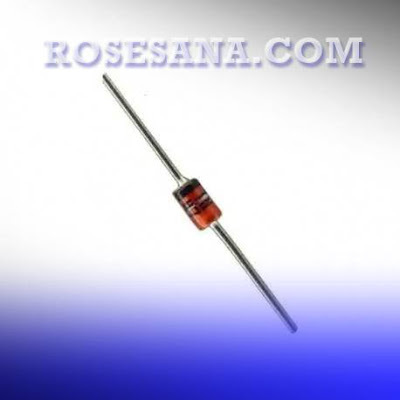 MUR1560 is a rectifier diode designed to work on a 100 - 600 V voltage range and a maximum current of 15 A, making it ideal when used on switching power supplies, inverters, motor drivers, and so on. 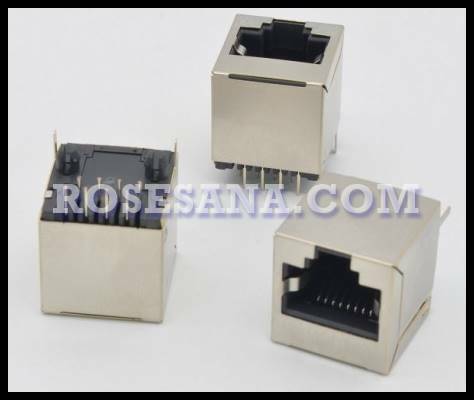 8 pin connector / female jack for phone cord with metal-coated body, making it more resistant to impact and temperature. 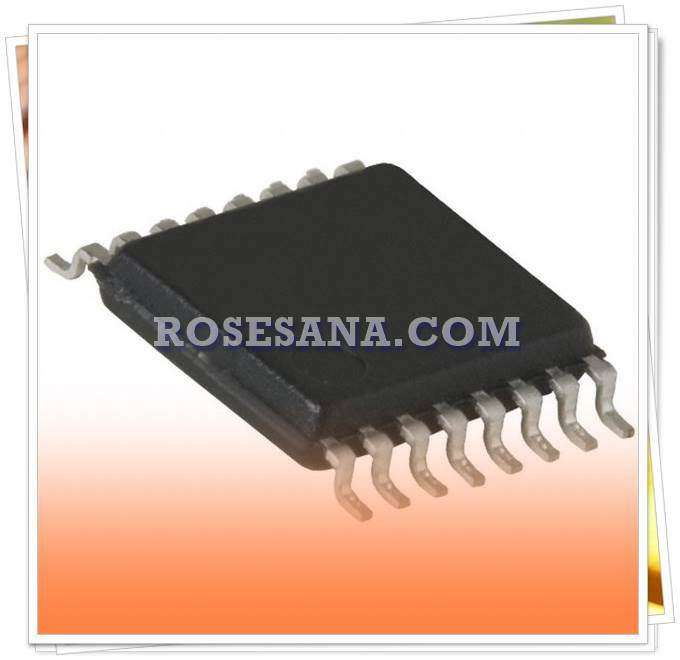 MC74HC4538ADG is a monostable multivibrator IC that works in 3 V - 6 V voltage range and supports CMOS signal output, NMOS, and TTL. Single turn potentiometer with 500 kilo ohms resistance value that can be used up to 4000 times the duty cycle. 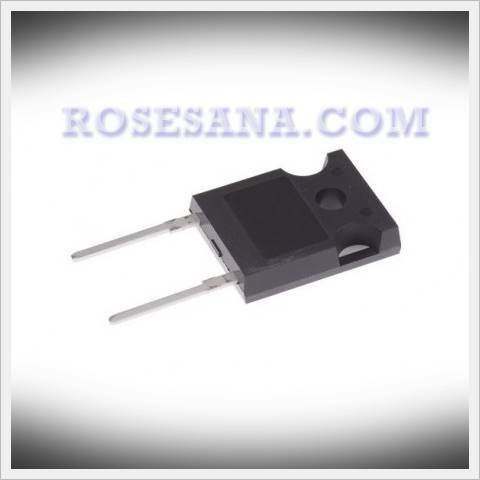 A3144 is a hall-effect sensor with CMOS technology that has high sensitivity to the magnetic field. The device is integrated with internal voltage regulators, dynamic hall-effect sensors, schmitt triggers, and open-drain configured output drivers. 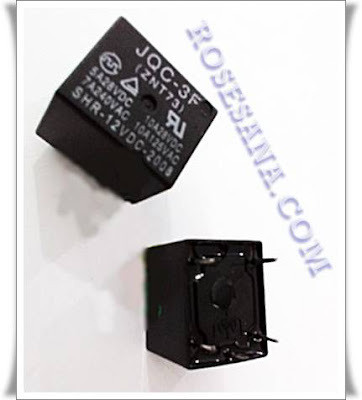 The A3144 specification also meets industry standards, so it is suitable when applied to automotive & industrial fields, brushless DC motor, speed detection, solid-state switch, and so on. 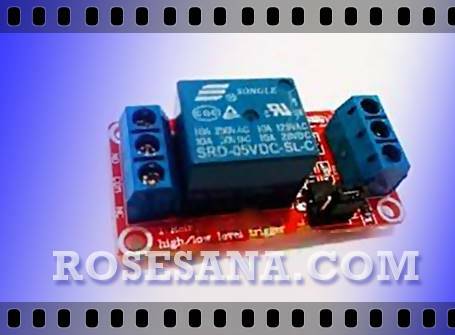 An I / O module consisting of an SPDT relay, in which the relay can generate a maximum current of 10 amperes with a 5 VDC coil voltage. 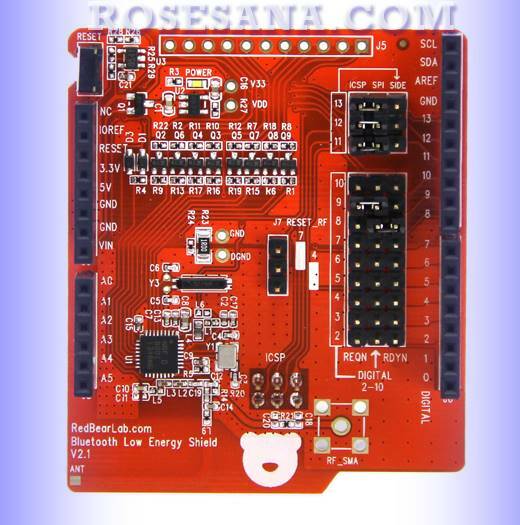 In this module has also provided terminal blocks that can facilitate you in connecting the module to the microcontroller and output components (lights AC, led, motor, selenoida, etc.). 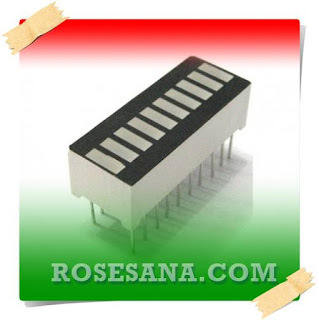 - This module can be used to control AC voltage up to 250 VAC @ 10 A and DC voltage up to 30 VDC @ 10A. 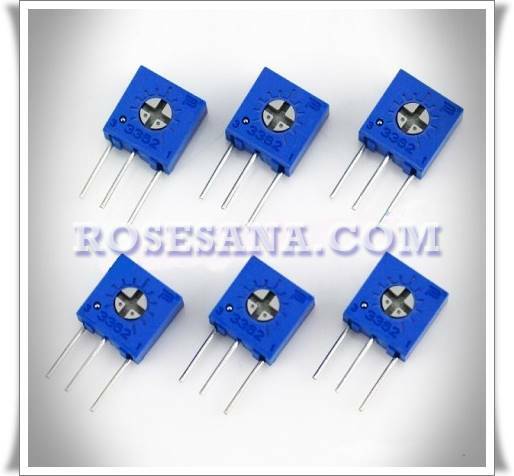 - Can be operated using 5 VDC coil voltage. 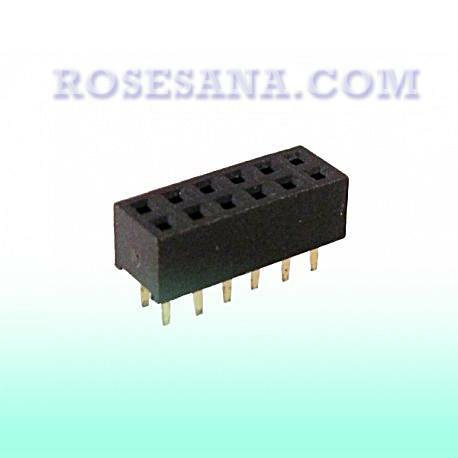 - Using terminal block type connector to facilitate the installation process to microcontroller and I / O components. 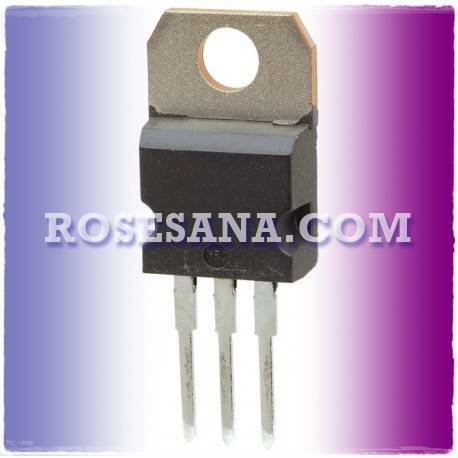 - Equipped LED as circuit indicator. 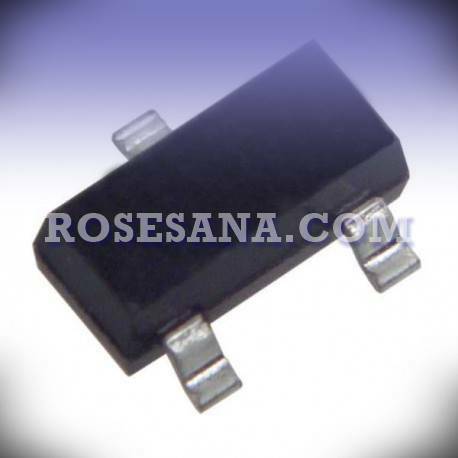 1.5KE62CA is a TVS diode that serves to protect the electronics circuit from sudden power spikes. 1.5KE62CA is capable of handling maximum power spikes up to 1500 watts. 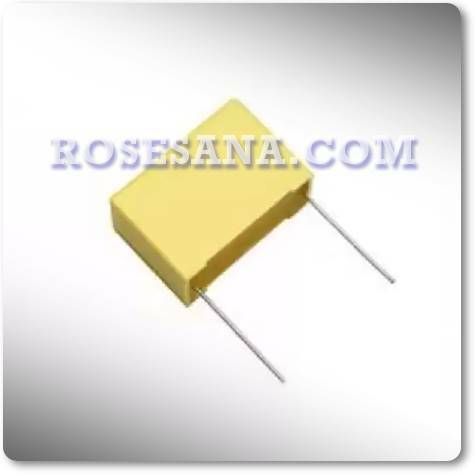 Crystal / oscillator with frequency 26 MHz, 9 pF capacitance, 10 PPM tolerance, and packaged in 1210 SMD pack. Is a LED strip consisting of 3 pieces of LED, which from each LED can emit warm white warm light. 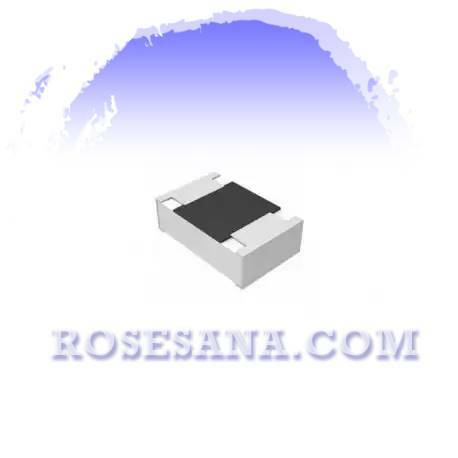 This LED strip works at a voltage of 12 V and can emit light with a brightness of 12-18 lm. Zener diode with voltage 3.6 V and power 500 mW. 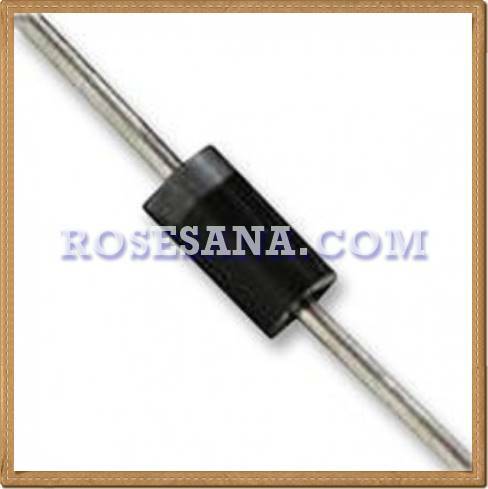 PHD connector pins compatible with cable type AWG-22 ~ AWG-26. 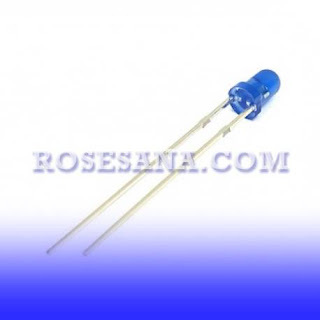 3 mm diameter LED that can emit bright blue light. 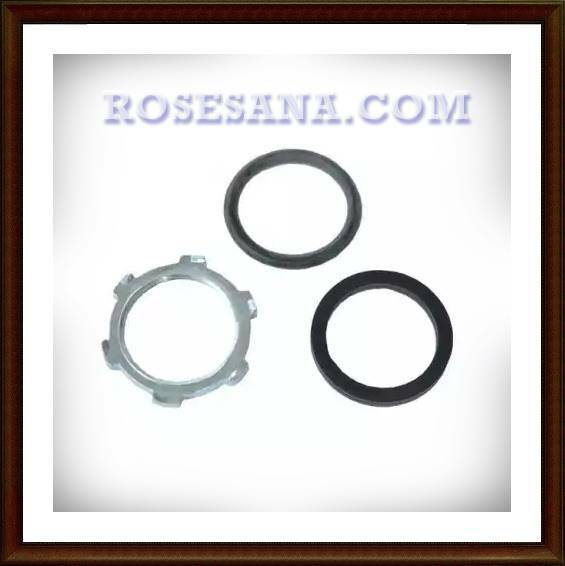 It is suitable when used as indicator lamps, indoor lighting, decoration, and so forth. 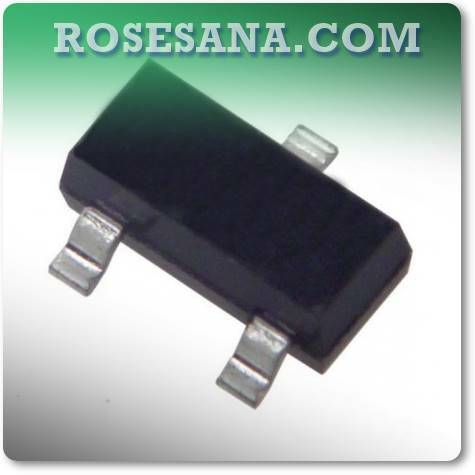 DMG2307L-7 is a P-Channel MOSFET transistor 1 channel with a gate-source voltage of 20 V and a power dissipation of 760 mW. 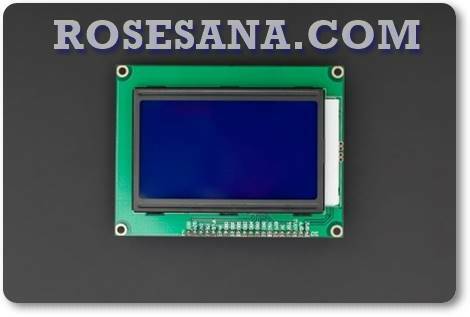 graphics LCD module (arduino compatible) with a resolution of 128 x 64 pixels which supports the reading of English characters, Chinese characters, as well as graphical characters. 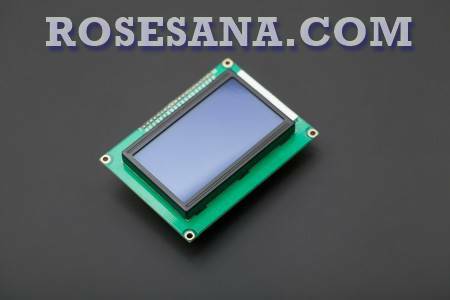 The LCD module is equipped with features backlit controls, parallel control and brightness control. 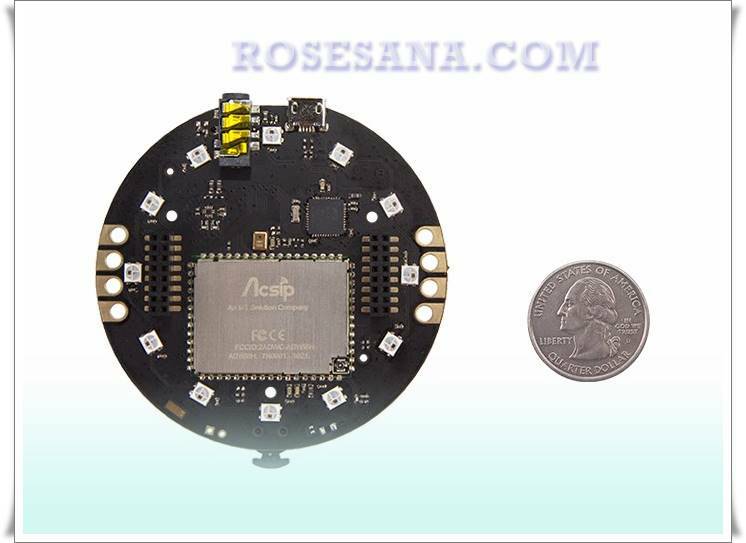 This module can communicate with your microcontroller through two different interfaces, namely parallel and 3-wire (SPI). iClebo OMEGA is a floor cleaning robot incorporates the latest generation of a vacuum cleaner and a cleaning brush 2 side for floor cleaning results are optimal. 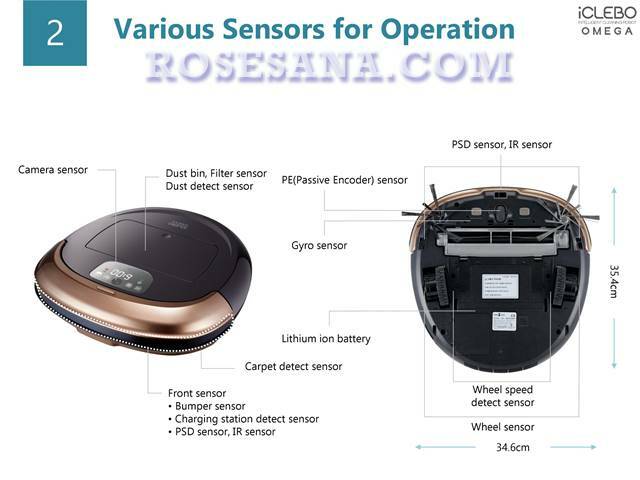 OMEGA iClebo comes with a number of sensors more than its predecessor, such as dust sensor, gyro, IR sensor, PSD sensor, a bumper sensor, charging station sensors, wheel sensors, camera sensors, the sensors detect carpet, as well as the PE sensor. In addition to the OMEGA iClebo also include an increase in terms of mechanics and design, so that the robot is claimed to work 39% better than other similar products. - Equipped with double brush on the right and left side for a more optimal cleaning. - Using a mapping camera-based navigation system (20 fps), which is much more accurate and precise. - Equipped with Smart Turbo Mode technology which will automatically increase the dust suction capability while on the carpet. - Equipped with 3 working modes: Auto, Max, and spot. 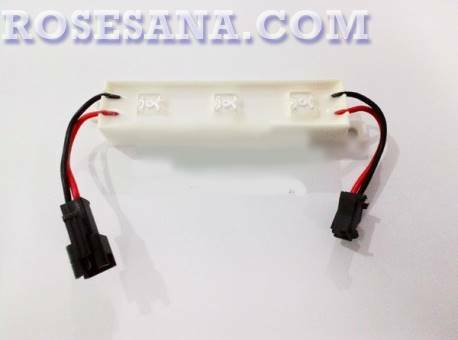 - Equipped with sensors: camera sensors, gyro sensors, dust sensors, sensors detect carpet, bumper sensors, sensors detect charging station, PSD sensors, IR sensors, wheel sensors, and passive encoder (PE) sensor. 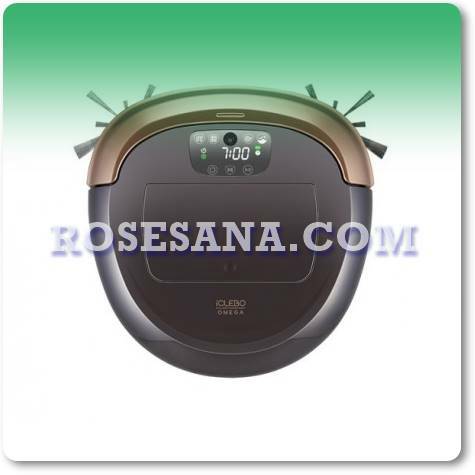 - Equipped with a lithium-ion battery that can mentenagai robot for 120 minutes. 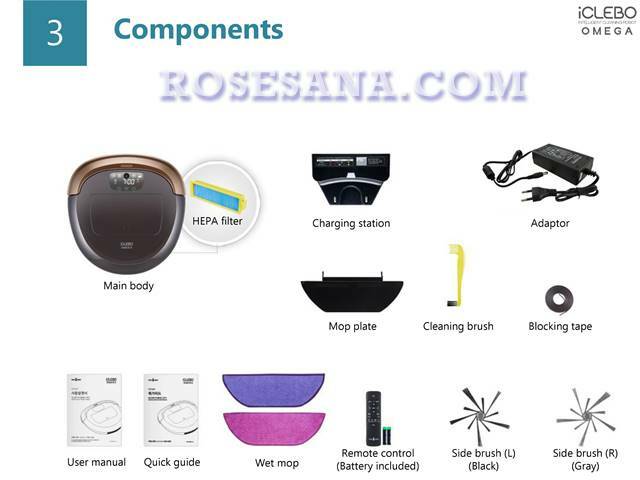 - The process of charging can be done manually or automatically (robot will seek charging station position when the low battery condition). 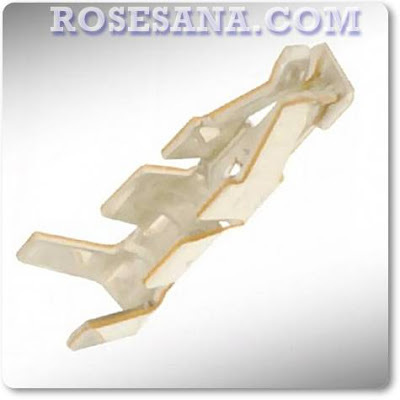 - objects to climb to as high as 1.5 cm. - Using the latest design, so as to reach the corners of the room. - Dimensions: 346 x 354 x 87 mm. 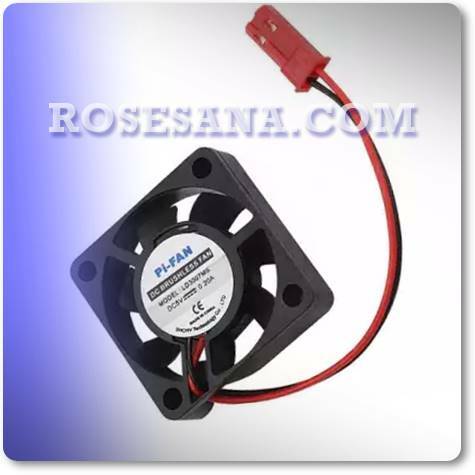 A cooling fan for Raspberry Pi mini PC that works at a voltage of 5 VDC. 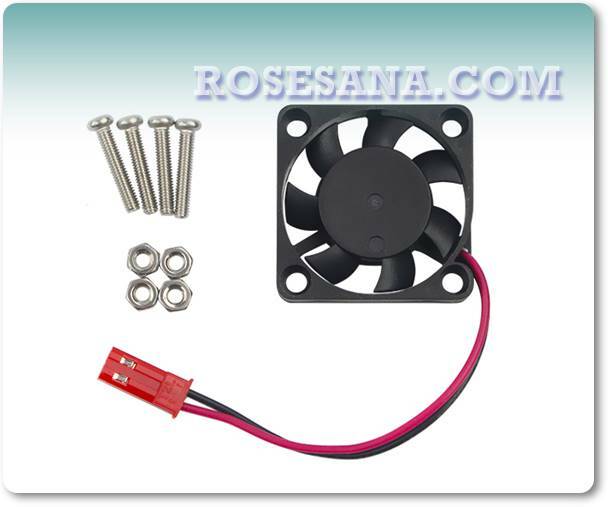 This fan serves to maintain the temperature of the processor from the Raspberry Pi 3 to remain stable and do not experience overheating (overheat). Highly recommended for those who plan to operate Raspberry Pi third in the long term. 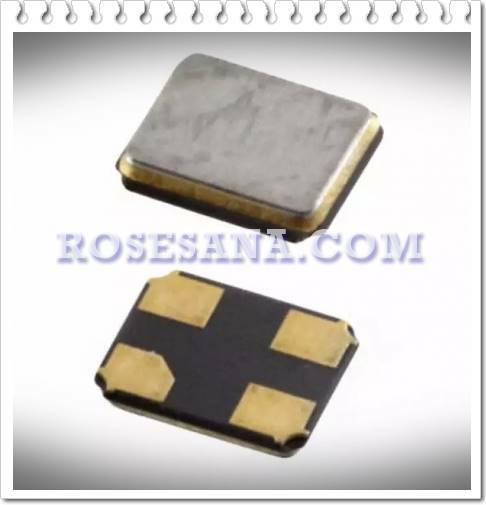 SMD Resistors (0805) with a 2 kilo ohm resistance value and tolerance of 5%. Note: In the sales package consisting of 10 pcs resistor. - Control pin I / O via the mobile application. 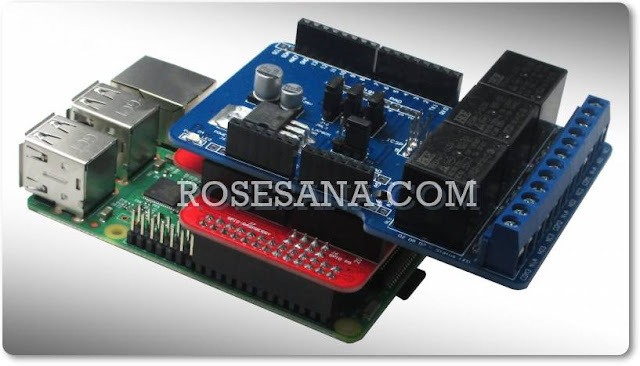 - Sending of sensor data from the Arduino to your PC or smartphone. 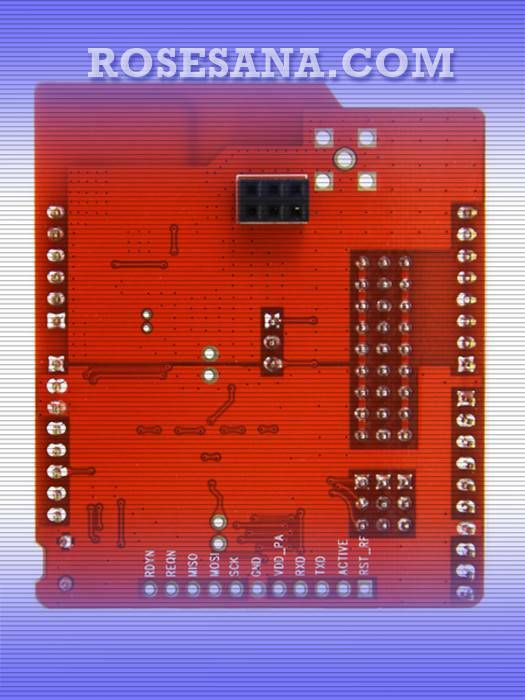 - Make PC / smartphone as an Internet gateway for Arduino. LED bargraph which contains 8 LEDs Bi-Color. This bargraph has two colors (red and green), depending on polarity. 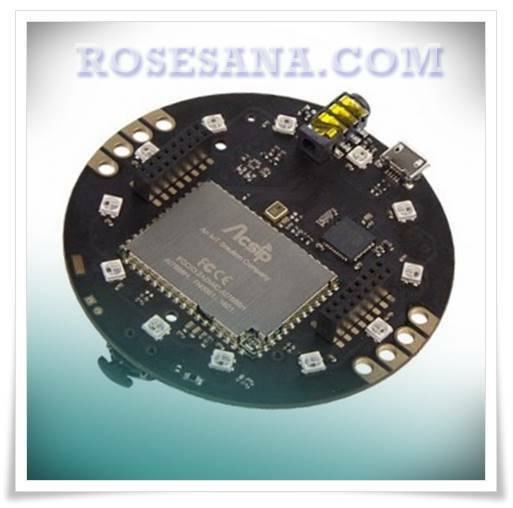 ESP-07s is compatible ESP8266 wifi module which is an improvement from the predecessor version of the ESP-07. 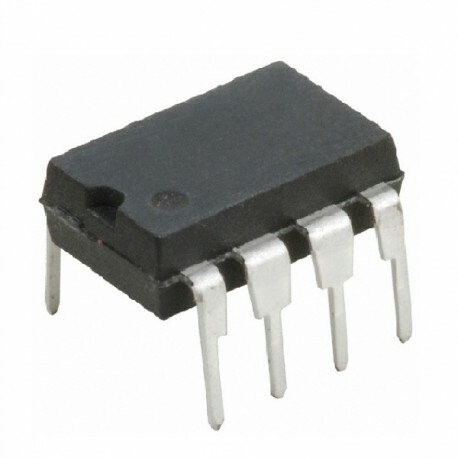 This module works at a frequency of 2.4 GHz ISM band using network protocols 802.11b / g / n. In this module has also been equipped with a channel ADC 10-bits that can be used to convert the voltage analog to digital in the voltage range between 0-1 V, 9 pieces GPIO pins to control the input component output, and an antenna connector IPX that serves to put an antenna externally. 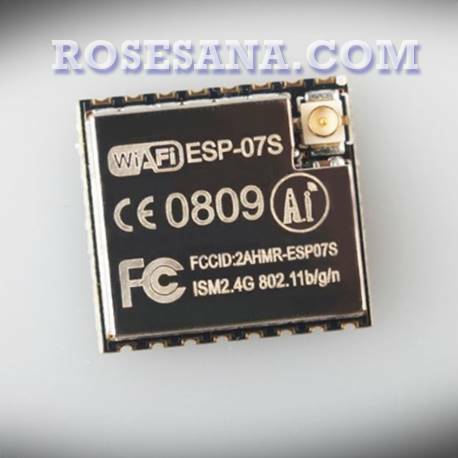 ESP-07s is very suitable when used for applications Internet of Things (IOT). 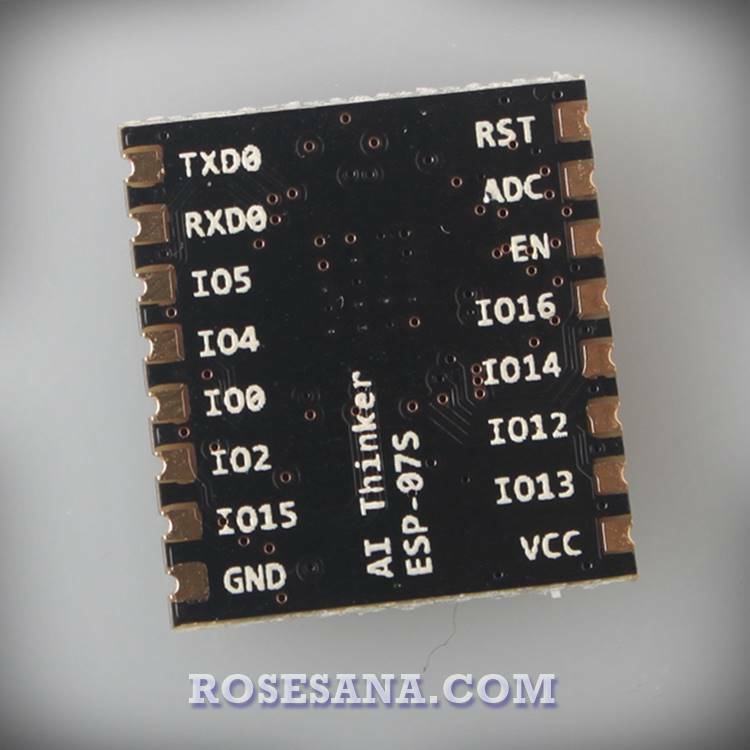 Breakout Board DS3231 RTC module R2 is a Real Time Clock (RTC) with I²C interface in which has been integrated with an internal crystal oscillator (TXCO). odule has been equipped with back-up battery (CR2032) that will keep the conditions of the time to keep pace even though the main power supply has been turned off. Internal crystal (TXCO) on the module can improve the accuracy of timing, so that the information regarding the second, minute, hour, day, month and year can be displayed very accurately. 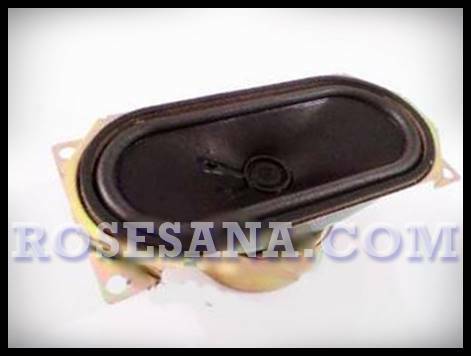 MKT capacitor 12 nF capacitance value. 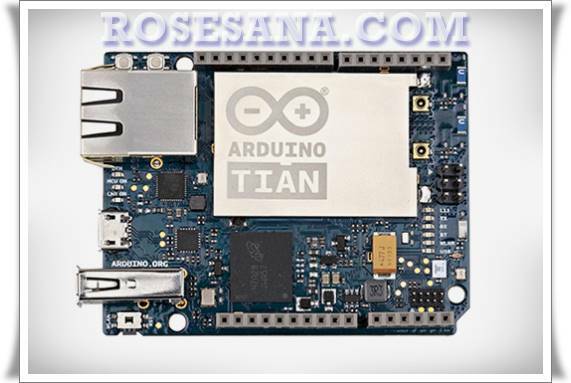 NB.Before to start to run Arduino Tian must install CP201x driver on the computer. 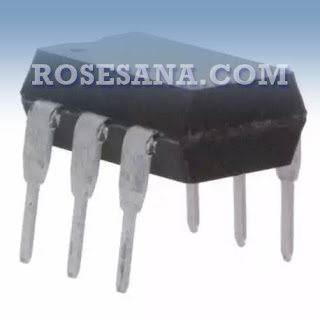 5 pin SPDT relay with coil voltage 12 VDC and contact 7A.